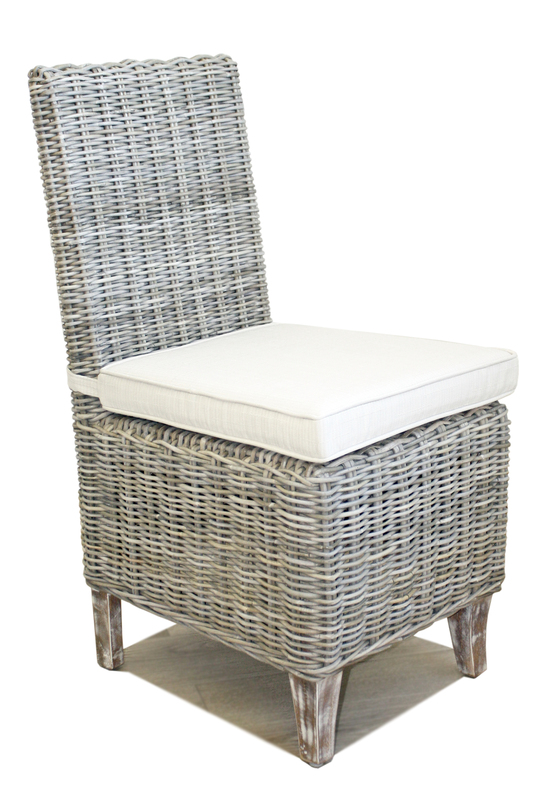 The chambray dining arm chair provides firm back support and comfortable arm rests. 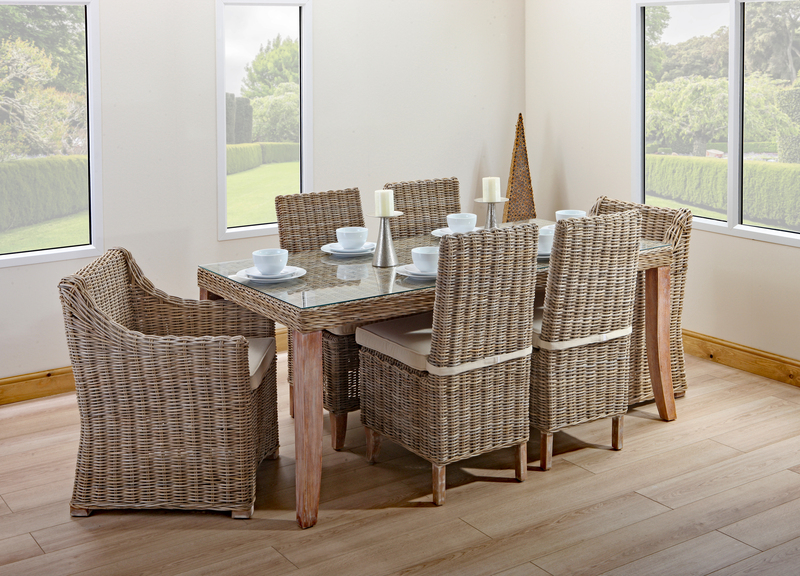 It's perfect for a less formal setting where guests and the family can sit back and relax, whilst enjoying a meal together. 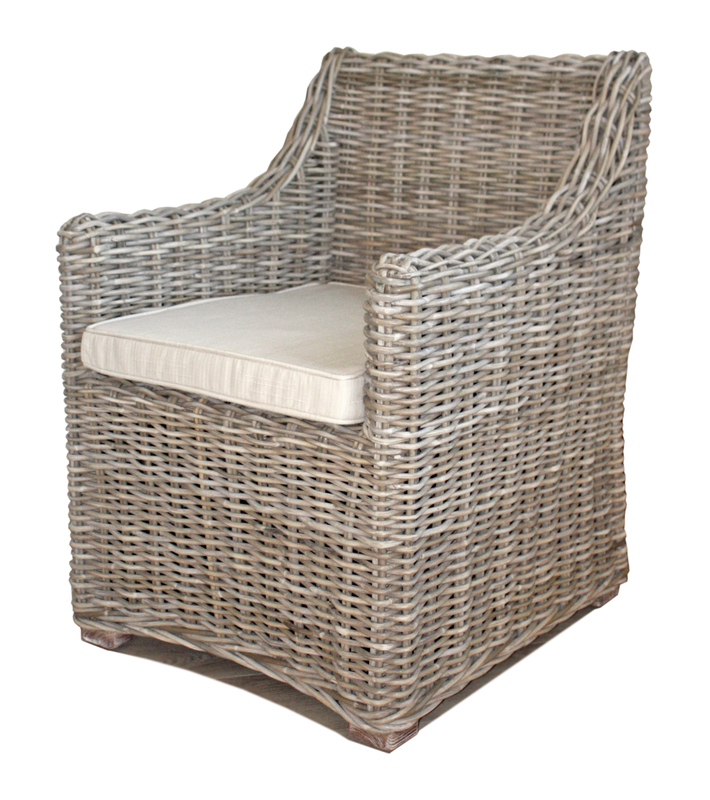 Built with a solid frame and kubu grey rattan, our arm chair has a stylish finish that is perfect for any family home. 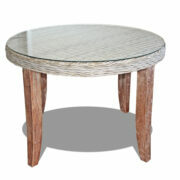 It's completed with mango wood feet and cushioning. 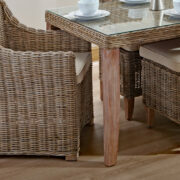 the cushioning is available in a range of fabrics and colours. 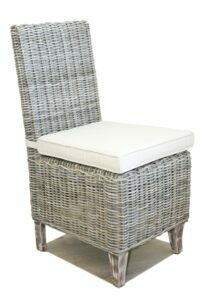 The chambray dining chair, is a more traditionally styled dining chair. 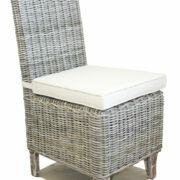 The high back offers good back support and the range of cushioning on offer allows you to have a deep or firm seat. 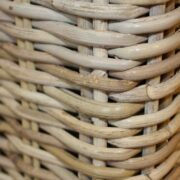 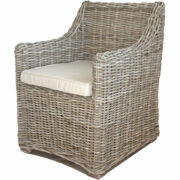 Like the arm chair, it has a kubu grey rattan finish and mango wood legs. Built with a solid wood frame with rattan weaving, the rectangular chambray dining table is durable and aesthetically pleasing. 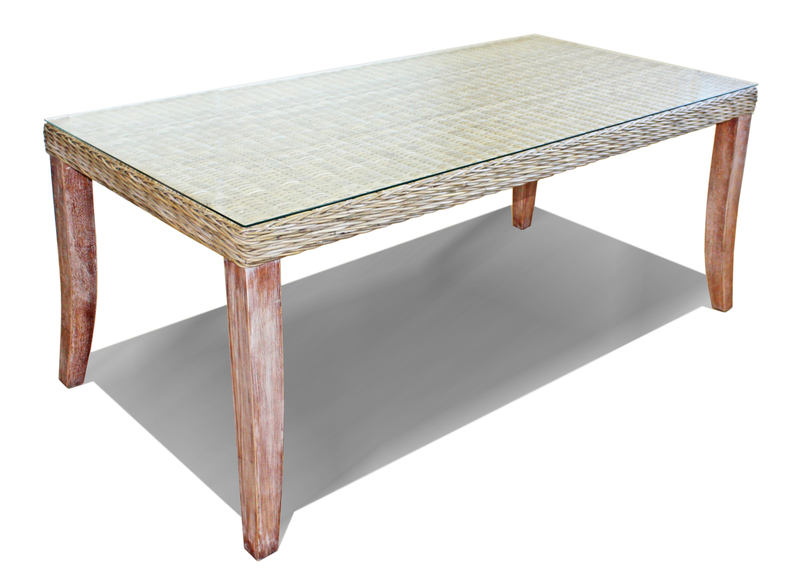 Available in kubu grey or almond patina, the table is easy to maintain and clean. 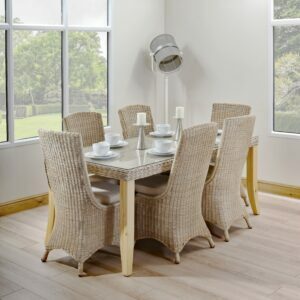 You can seat up to six family and friends comfortably and due to its stylish design, you'll like the fact that it's the centrepiece of any room. the round chambray dining table is more compact than the rectangular one. 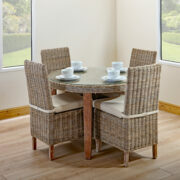 It easily seats up to four people and can be positioned in a living room, dining room or kitchen comfortably. 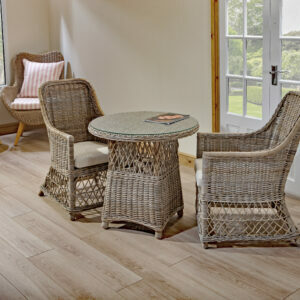 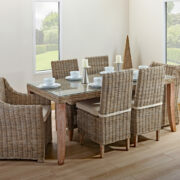 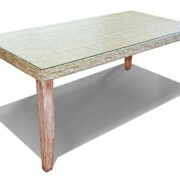 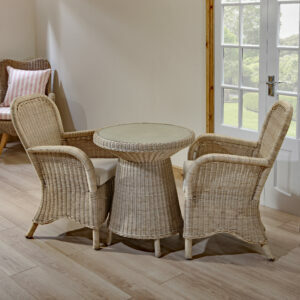 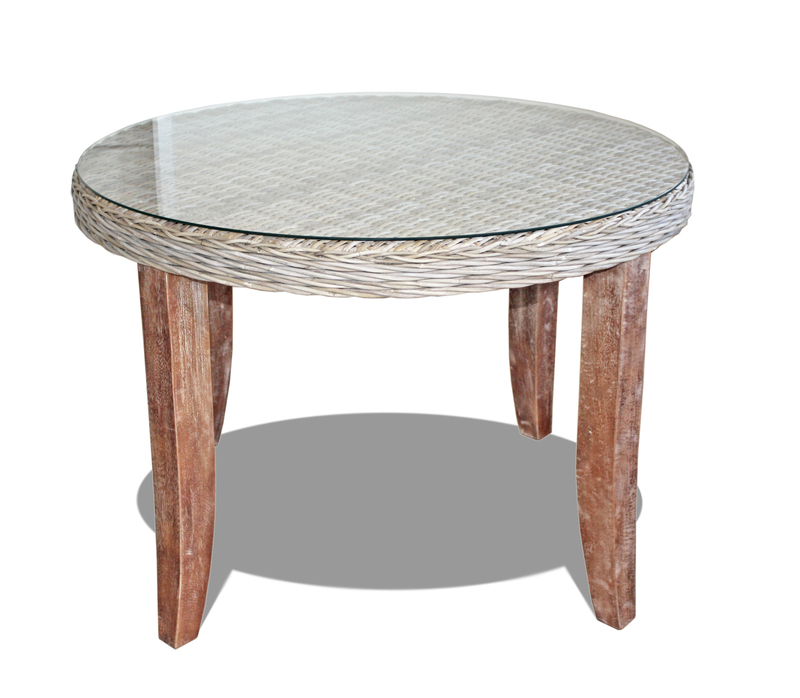 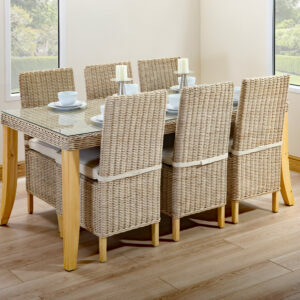 The mango washed legs and kubu grey rattan give the table an elegant finish. 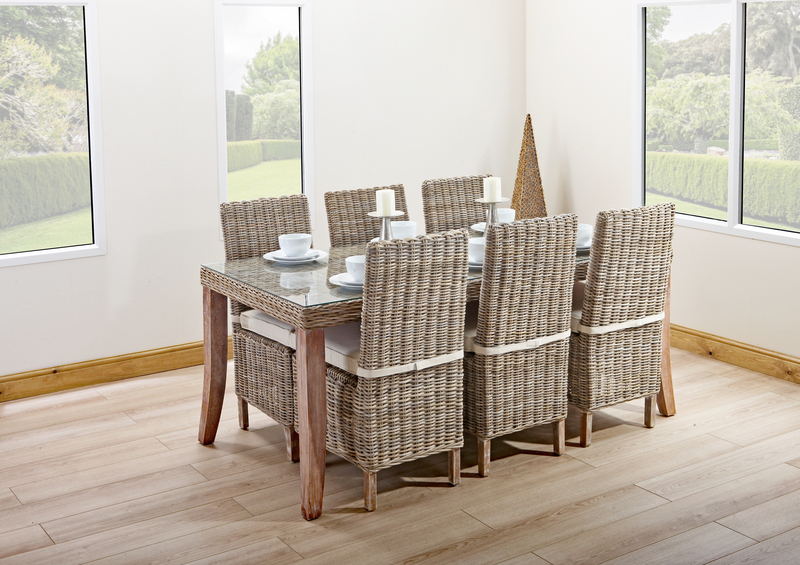 The kubu grey chambray dining set consists of a selection of tables and chairs. 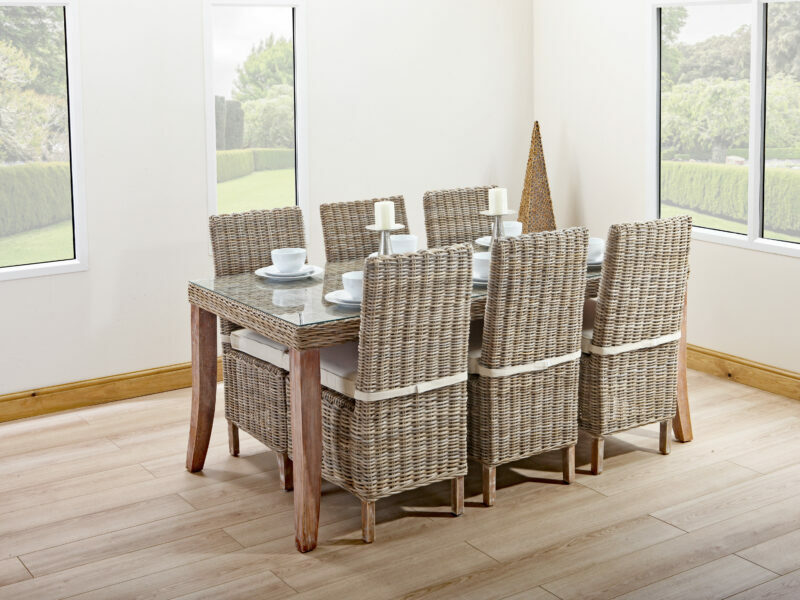 Combine the rectangular dining table with the dining chairs, for a traditional look, perfect for larger families and those who love hosting dinner parties. 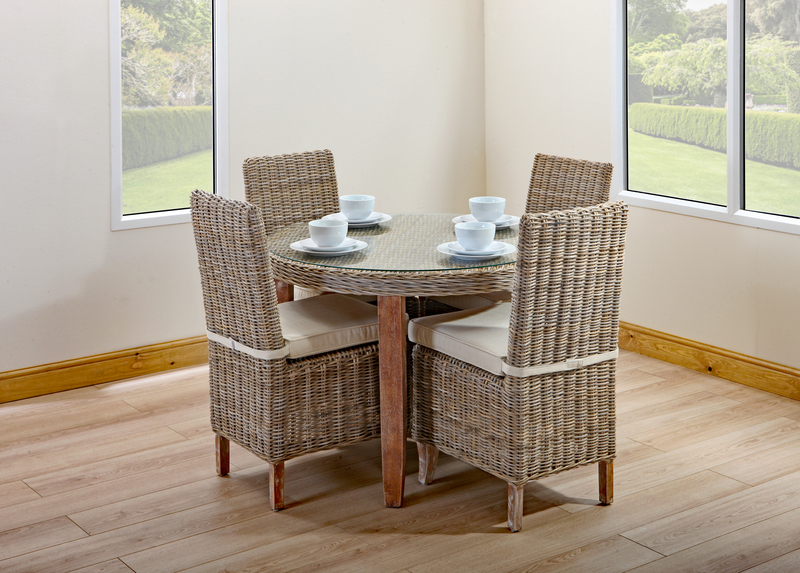 If you’re after a more laid back layout then take a look at the round dining table with the dining arm chairs. 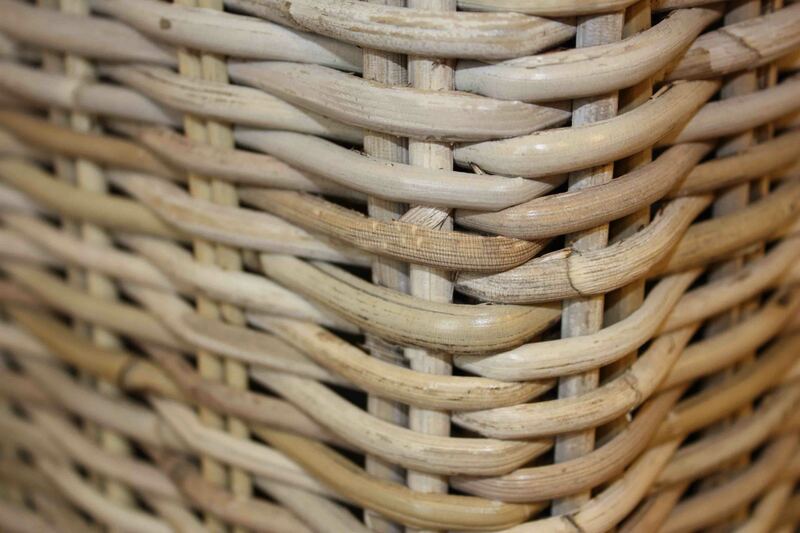 Whatever you choose, you won’t be disappointed. 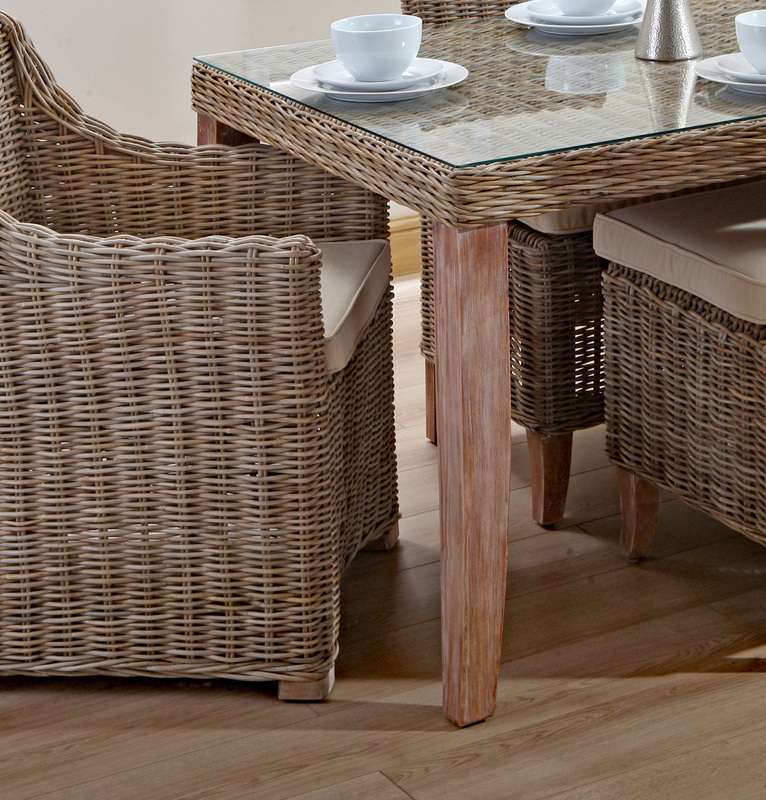 The durable design ensures that the tables are firm and the range of cushioning (to go with your chairs) means you can opt for a deep or firm seat.